Seventeen year old Gabby Westbrook is the latest Australian modelling export to cause a flurry of excitement on the international runway circuit. At the recent Spring/Summer 2014 collections, Westbrook was a vision of jaw-dropping beauty as she made select appearances on the most gilded of runways including an exclusive for Versace. Discovered two years ago via the Girlfriend Model Search competition, Westbrook has wasted little time in eclipsing the local Australian market with rampant editorial exposure in publications including the Australian editions of Vogue, Harper's Bazaar, Elle, Russh, and Oyster. Westbrook's dreamy blue eyes, cherubic heart-shaped face, and tempestuous pout landed her on Elite Model Management New York's model board, in time for an auspicious debut during the Spring/Summer 2014 show season. Perhaps the most alluring quality about Westbrook aside from her stunning physical attributes, is the element of surprise. What you see is definitely not what you get with Westbrook, given her chameleon-like quality on the runway and in print which veers seamlessly from beauty campaign prettiness to sultry vixen within a few clicks of the camera's shutter. Added to Westbrook's point of intrigue is her hybrid mix of Samoan, Irish, German, and British heritage, lending her a compelling hard to place look that keeps model pundits guessing. With recent buzz-inducing editorial appearances for Intermission Magazine and German Interview and imminent plans afoot to relocate to New York, Westbrook is poised for a major berth at the impending Fall/Winter 2014 collections in February. IMA chatted exclusively with Westbrook about her stunning Spring/Summer 2014 runway debut, the thrill of collaborating with Donatella Versace, and her hopes for the future both on-and-off the runway. Inoubliable Model Army (IMA): Hi Gabby, congrats on a promising debut at the Spring/Summer 2014 collections. What were your expectations heading into the season and overall are you content with your first Fashion Week? Gabby Westbrook (GW): I really just went in with an open mind, and took everything as it came. I treated this season as a practice run; and just tried to get a feel for the circuit and get my head around the whole process. Booking my first show was a big enough achievement for me, I would have just been happy with that. Everything that came after was a bonus. IMA: You form part of a new model army of Australians who are taking the modelling world by storm. Did you run into fellow Antipodean models Nicole Pollard, Jemma Baines, Ruby Jean Wilson, Marnie Harris, April Tiplady, Maddison Brown, Cassi Van den Dungen, and Holly Rose Emery during Fashion Week? GW: Of course, we stick together. Jemma and I used to time our castings accordingly so we could run into each other; it's comforting to have that type of support network especially when you're travelling by yourself. IMA: Would you mind getting IMA's audience up to speed on your backstory? GW: I'm 17 years old, 18 in January, which makes me an Aquarian. I was born in New Zealand and moved to Australian when I was 3. I have Samoan, British, Irish, and German heritage, people don't believe me when I say I'm part Samoan but I swear it's true. I was scouted by my mother agency, Chic at a model search competition about 2 years ago. IMA: You're actually from my old stomping ground in the Eastern Suburbs of Sydney! What do you love most about Australia and where are your favourite Sydney hangouts? GW: I used to live in Edgecliff! I love the Australian beach culture, everyone is so laid-back and easygoing - it's always nice to come home and slow things down, I often find New York is too rushed and a little chaotic. One of my favourite spots is Indigo Cafe in Double Bay, I think I spent every morning before school there; it's like my second home. IMA: After having had a taste of the international show circuit are there plans a foot to move to New York, the world's modelling mecca? GW" Definitely! I'm currently on the search for an apartment in New York to share with my cousin. 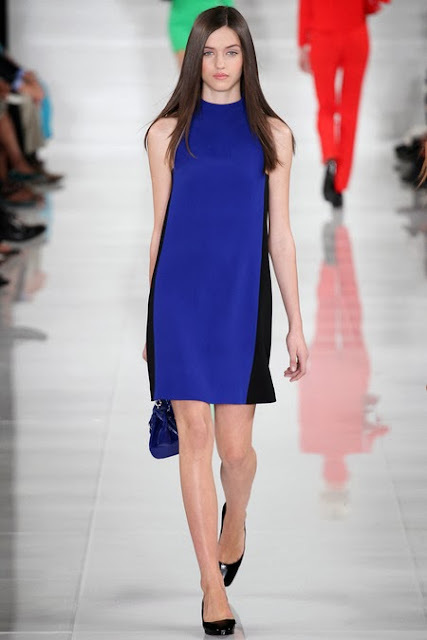 IMA: Your Spring/Summer 2014 show list included appearances at Kenneth Cole, Ralph Lauren, John Galliano, Shiatzy Chen, and a Versace exclusive. What were your personal Spring/Summer 2014 highlights both on and off the runway? GW: Versace was a whole new experience for me, I got to work with Donatella personally and see the whole collection come alive. It's a refreshing change to witness the 'behind' scenes of the whole show and to see how everything evolves. IMA: Australian fashion has a very unique sensibility. Who are your favourite Australian designers and how would you describe your own street style? GW: My main priority is comfort. I don't really follow the trends, I prefer investing in classic well-tailored pieces. Ellery and Zimmermann are two of my favourite Australian designers. IMA: You've been photographed by Nicole Bentley, Daniella Rech, Derek Henderson, Ryan Kenny, and Justin Ridler for the Australian editions of Vogue, Harper's Bazaar, Elle, Oyster, and Russh. What has been your favourite modelling experience/photo shoot to date? Are there any key industry figures that you would love to collaborate with in the future? 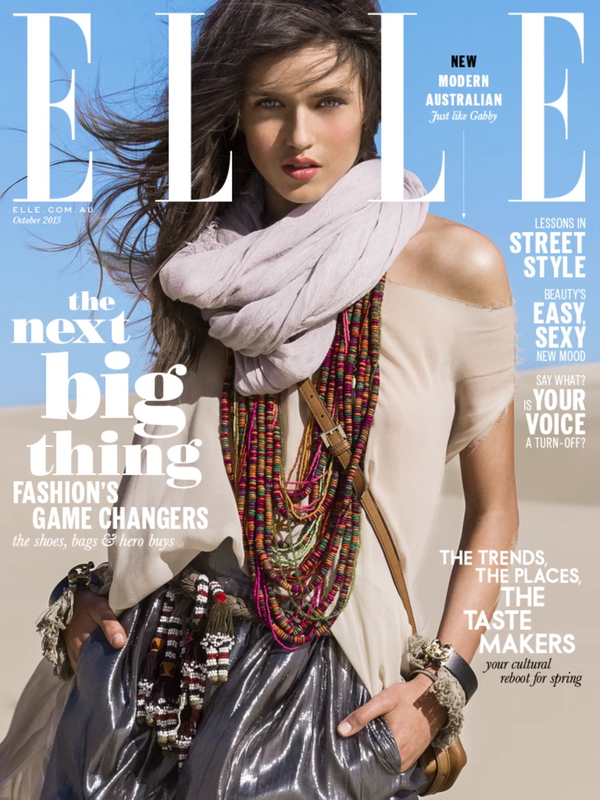 GW: Working with the Elle team and being part of the first Elle Australia was an amazing experience. It's definitely one of the highlights of my career so far. In the future, I would love to collaborate with Steven Meisel, his editorial work is incredible! IMA: Models often speak of a bulletproof confidence while walking down the runway. What goes through your mind when you are on the catwalk, and what do you enjoy most about the runway component of modelling? GW: Runway audiences are very responsive and can feel the energy on stage, so it's important as a model to convert all the adrenaline and chaos backstage into, as you said, some sort of bulletproof confidence on the catwalk. I just try to keep the walk strong and well paced. I like runway because of its performance quality, you get to play a character and in that moment, all the attention is on you. IMA: What do you hope to achieve in your modelling career, and have you considered what career path you would like to pursue had modelling not intervened? GW: I would love to be part of a beauty campaign or be the face of a make-up product or fragrance, that would be a pretty amazing achievement for me. If I weren't modelling, I'd be studying architecture at university. I've always been interested in property and design; I still would like to pursue it in the future. IMA: One of the most challenging aspects of a model's life is the time spent alone away from family and loved ones. How do you counter the loneliness aspect go your profession and who do you count amongst your closest model buddies? GW: I'm normally on Skype every night to my cousin or to my friends back home, it makes the time alone much easier to cope with. Taylor Hill is one of my closest model friends, we often share an apartment if we're in New York at the same time and try to keep in contact as much as possible. It's nice to have someone who's in the same boat as you and on a similar journey.